Shepherd Casters: HC-5 | Altus, Inc.
Strong medical stem caster. Constructed of a glass-filled nylon body, durable wheel and easily operated tread break you won’t be disappointed in its reliability! 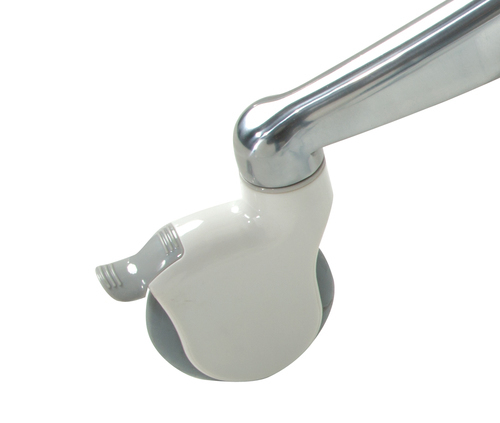 The casters’ precision ball bearings keep the wheel quiet, perfect for a sensitive healthcare environment. Popular choice. With its resistance to wear and tear and its stylish, sleek design the shepherd genesis caster will be sure to compliment your durable mobile workstation. Clean with ease with its strong protective body. Reflect debris with its integrated thread guards. Easy mobility fit for both carpet and hardwood floors.